This is Day 8 of our Iberian Trip. 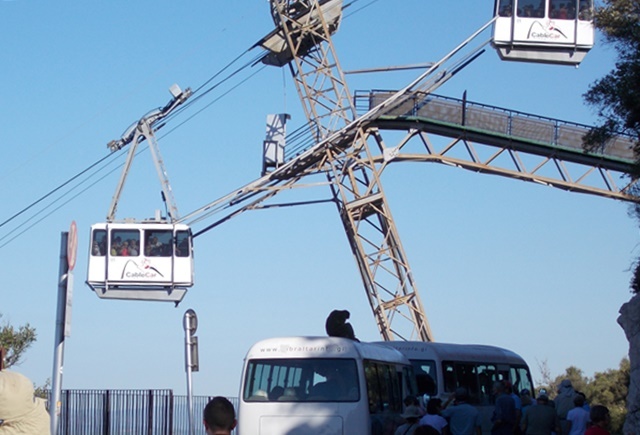 We rode our bus about 75 miles from Torremolinos for an “optional ” visit to Gibraltar. Here is the Rock from across Gibraltar bay. The use of Prudential’s symbol, the Rock of Gibraltar, began after an advertising agent passed Laurel Hill, a volcanic neck, in Seacaucus, New Jersey, on a train in the 1890s. 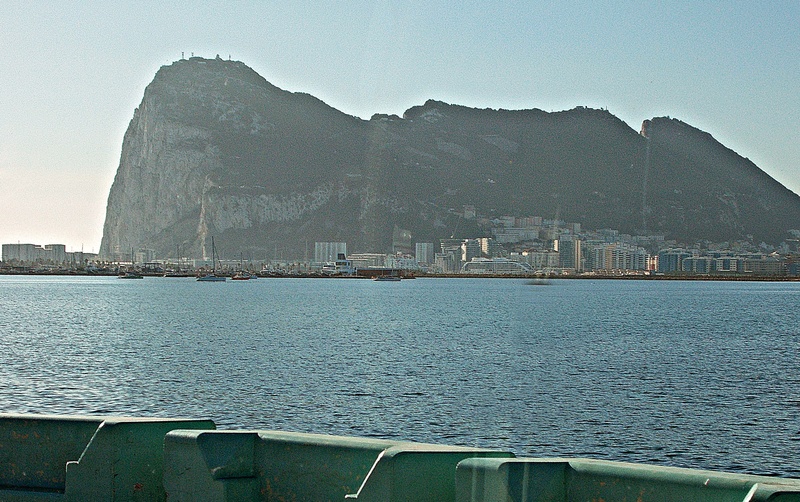 The related slogans “Get a Piece of the Rock” and “Strength of Gibraltar” are also still quite widely associated with Prudential, though current advertising uses neither of these. Through the years, the symbol went through various versions, but in 1989, a simplified pictogram symbol of the Rock of Gibraltar was adopted. It has been used ever since. 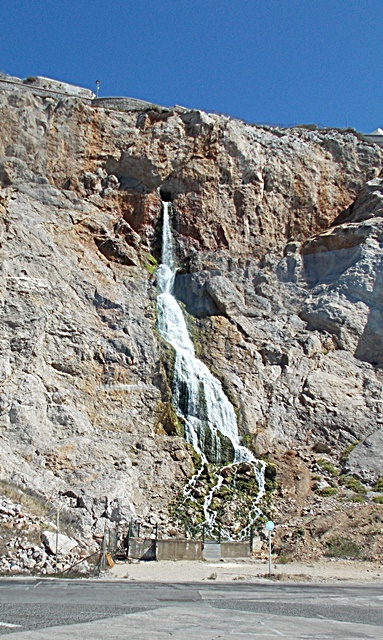 We’re used to seeing the left end, but there is more Rock than you’d expect. This is Gibraltar Bay. 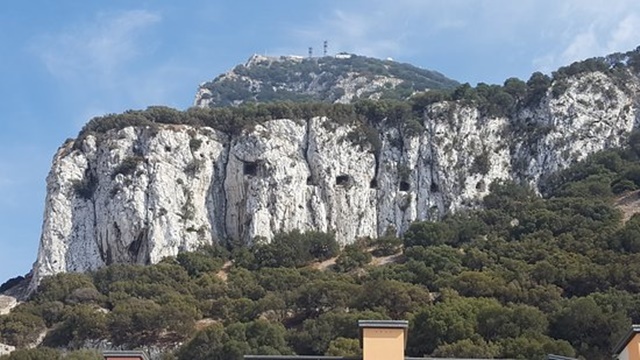 The Rock is at the top right. The bay is huge! It’s easy to see how important this bay in maritime history. 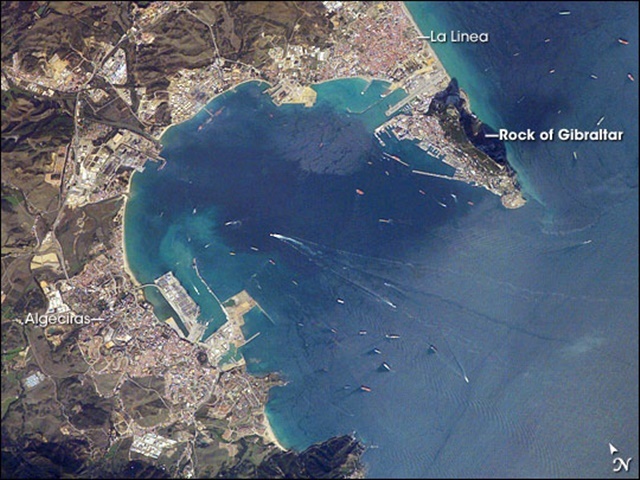 Europa Point (pictures later) is at the tip of the rock. Italy launched Human torpedos from Algeciras on several occasions in attempts to sink British ships moored in the Gibraltar harbor, with mixed success. 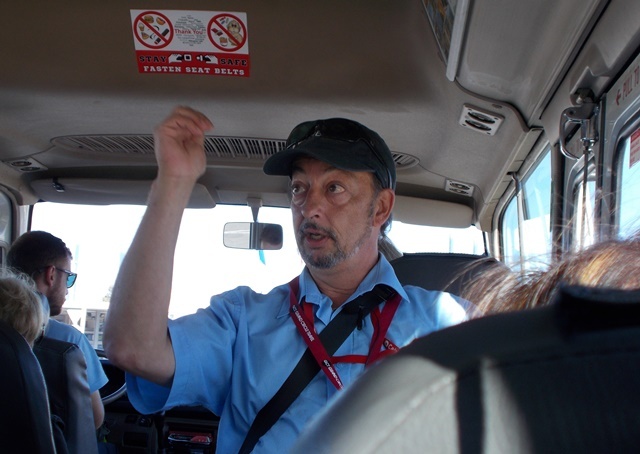 This was our Gibraltar Tour Guide. He is a Brit. After all, Gibraltar is a British Territory. It was captured during the War of the Spanish Succession in 1704 – 1713 by an Anglo-Dutch fleet in the name of Charles VI of Austria, the Habsburg contender to the Spanish throne. At the war’s end, Spain ceded the territory to Britain under the terms of the treaty of Utrecht of 1713. He really knew his Rock history and he had a great sense of humor (or humour). His big concern was what will happen to Gibraltar and it’s citizens because of Brexit! 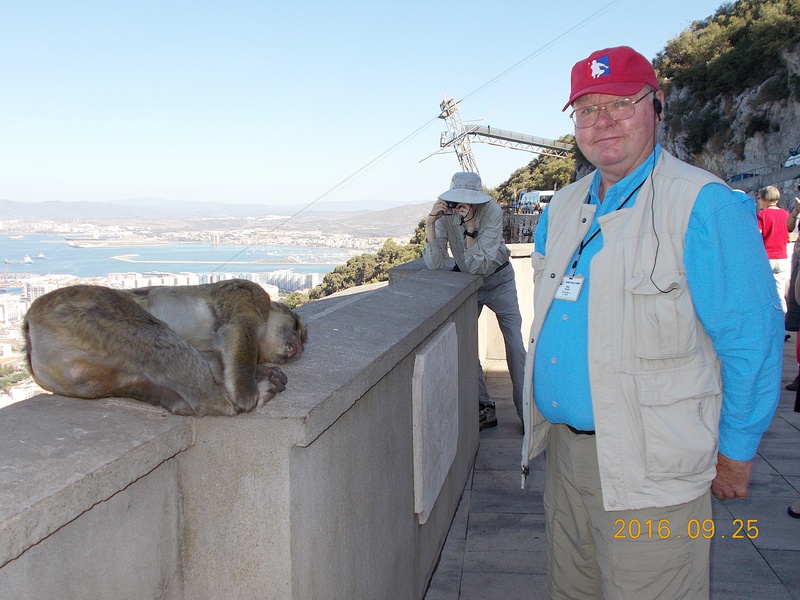 We wanted to see the “Barbary Apes” so we went to one of the gun emplacements on the back of the rock over looking the bay where they were fed and liked to hang out. 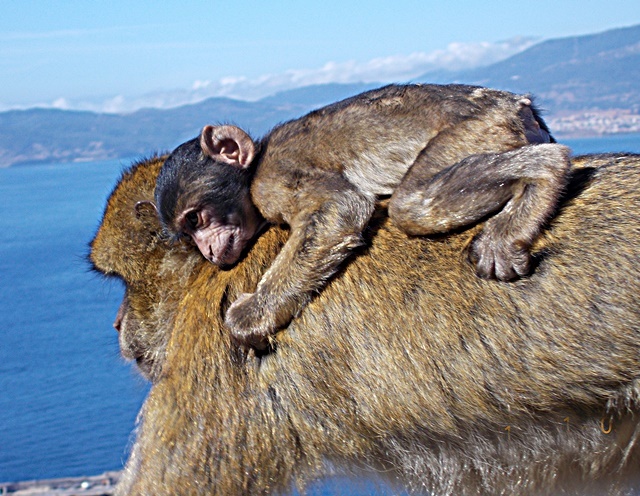 This is an “Ape” (the one on the left) except it’s not an ape, it’s a Barbary Macaque which is really a monkey. 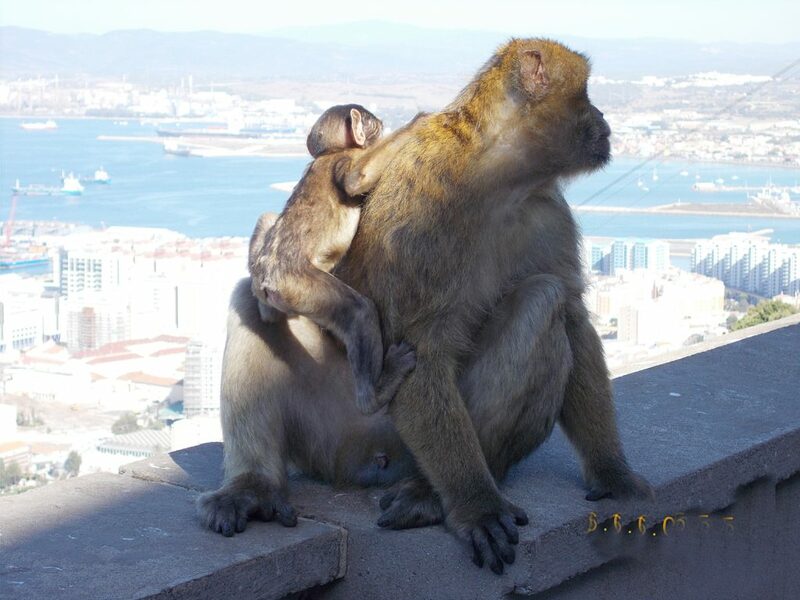 At present, some 300 of these animals in five troops occupy the Upper Rock area of the Gibraltar Nature Preserve, though occasional forays into the town may result in damage to personal property. I think this guy had too many bananas. 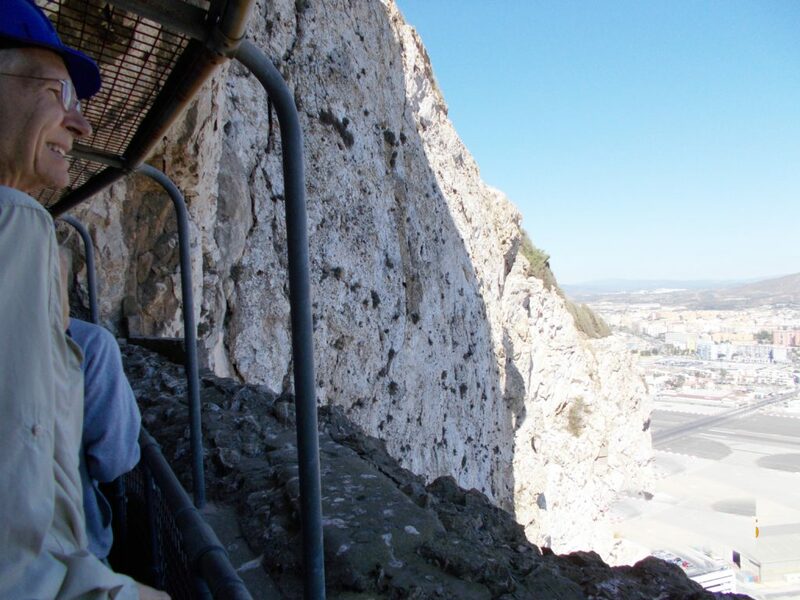 Behind me is a cable car the can whisk you to the top of the Rock for about 10 euros. Note the monkey on the bus! Hang on! It’s a long way down!! 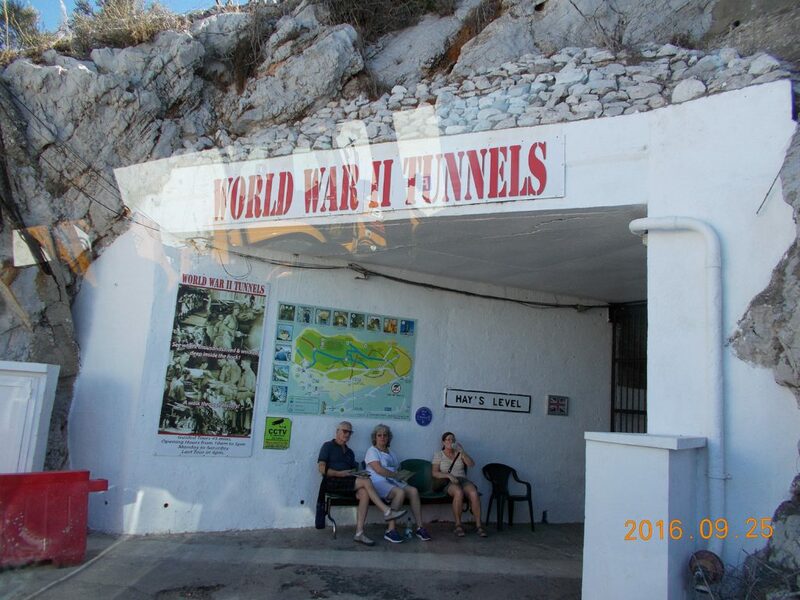 The tunnels of Gibraltar, constructed over the course of nearly 200 years principally by the British Army have made the Rock of Gibraltar a veritable warren of tunnels that housed guns, hangars, ammunition stores, barracks and hospitals”. 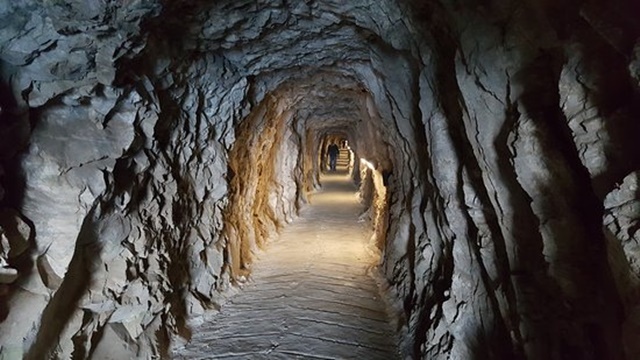 The 20th century saw by far the greatest extent of tunneling when the Rock was turned into a huge underground fortress capable of accommodating 16,000 men and women along with all the supplies, ammunition and equipment needed to withstand a prolonged siege. Note the Hard Hat. 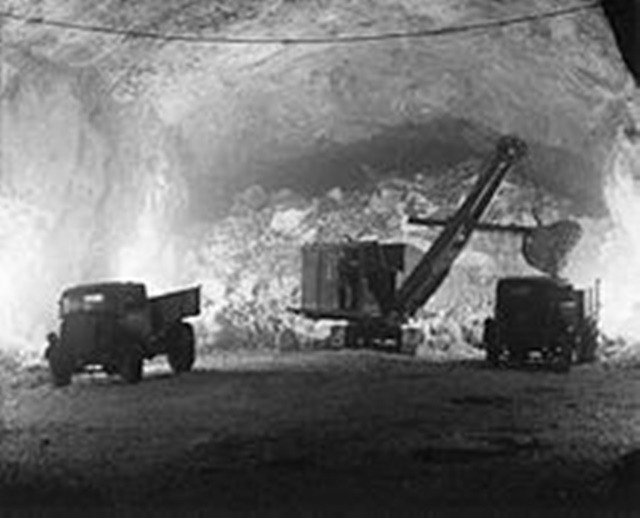 They were required because many of the tunnels were low. 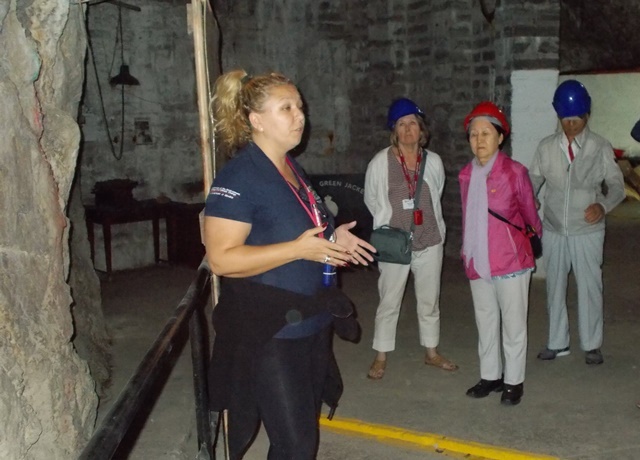 Our Danish guide told us all about the tunnels and showed on many of them. 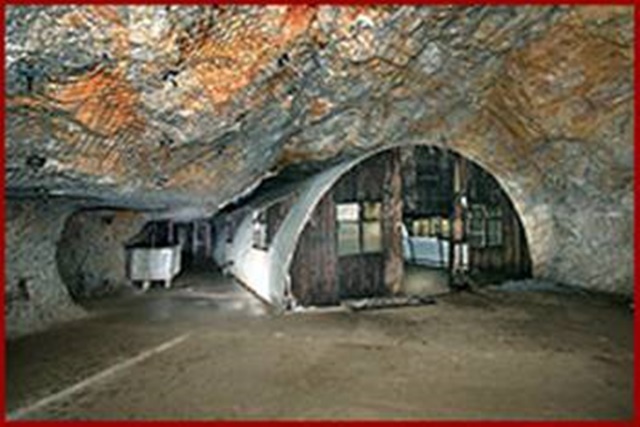 This piece of tunnel had a Quanset built into it to make a dry store room. 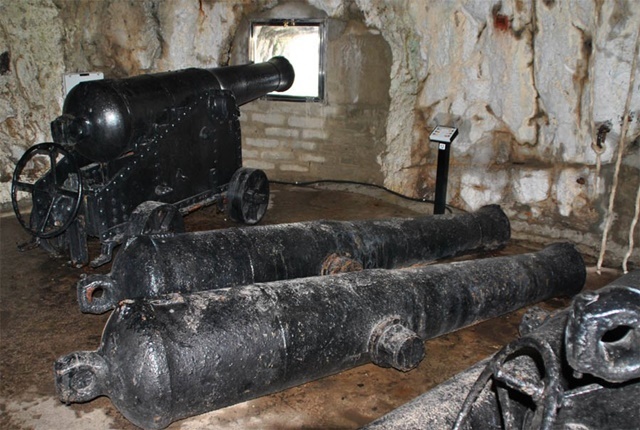 Here’s some old cannons ready for action? See why we needed Hard Hats? The mile-long complex includes this large chamber. 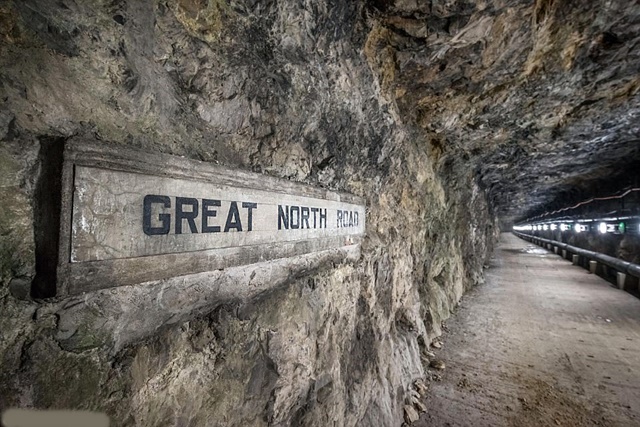 The tunnel is one of the largest man made underground spaces without roof supports and was capable of housing 16,000 soldiers for up to 16 months. This is a WWII picture. 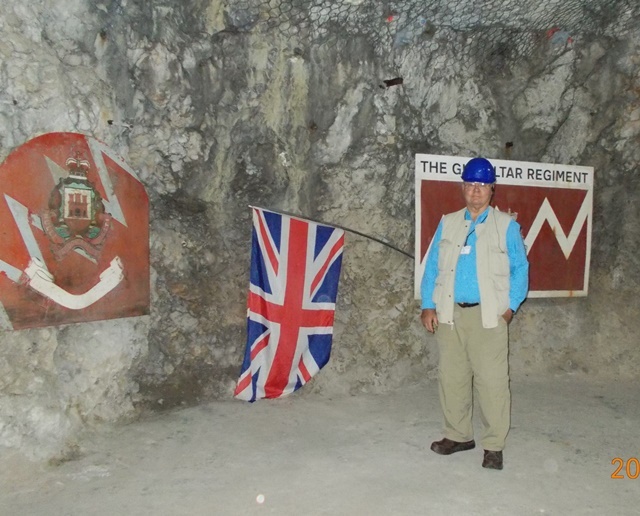 The Rock of Gibraltar is actually limestone which made the digging somewhat easier. 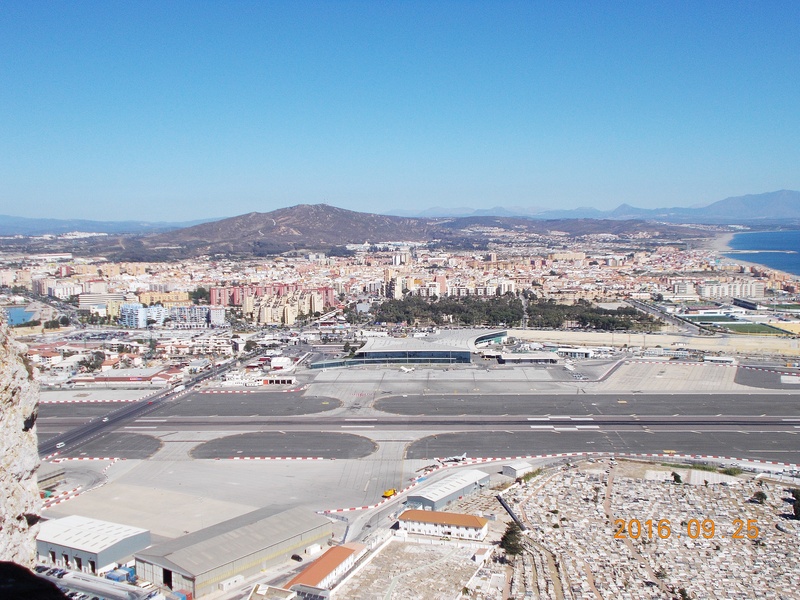 Also in the fore ground is the The North Front Cemetery is situated between the north face of the Rock to the south and the airport to the north. A French map made of Gibraltar in 1811 shows that the cemetery was well established at that time. The graveyard was initially divided into five sections. In addition, to those for members of the Church of England, and Presbyterian, Weslyen, and Roman Catholics, there was a fifth section for those of other denominations. Enough with tunnels. This is what you’d see looking at the gun emplacements and balconies from below. We headed off the Rock and passed this statue in the “Old Town”. 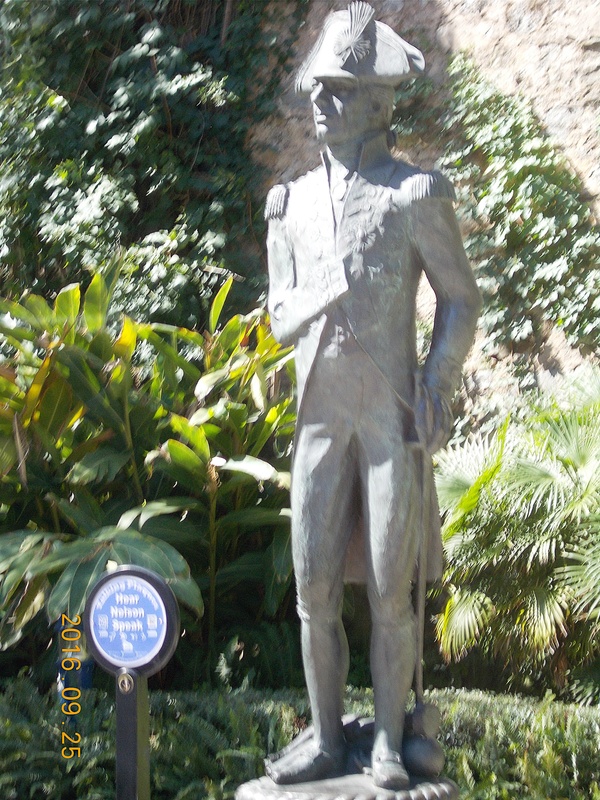 Here is one of my Naval Heroes: Lord Nelson. Vice Admiral Horatio Nelson, 1st Viscount Nelson, 1st Duke of Bronté (29 September 1758 – 21 October 1805) was a British flag officer in the Royal Navy. He was noted for his inspirational leadership, superb grasp of strategy, and unconventional tactics, which together resulted in a number of decisive naval victories, particularly during the Napoleonic Wars. He was wounded several times in combat, losing the sight in one eye in Corsica and most of one arm in the unsuccessful attempt to conquer Tenerife. He was shot and killed aboard the HMS Victory during his final victory at the near the Port City of Cadiz in 1805. His statue is on a column in Trafalgar Square, London and the HMS Victory is now dry docked the Portsmouth, England. Here is a queer “Whatzit” picture. It turns out that there is a desalinization plant beyond those rocks and the super salty waste water is returned to the sea here. 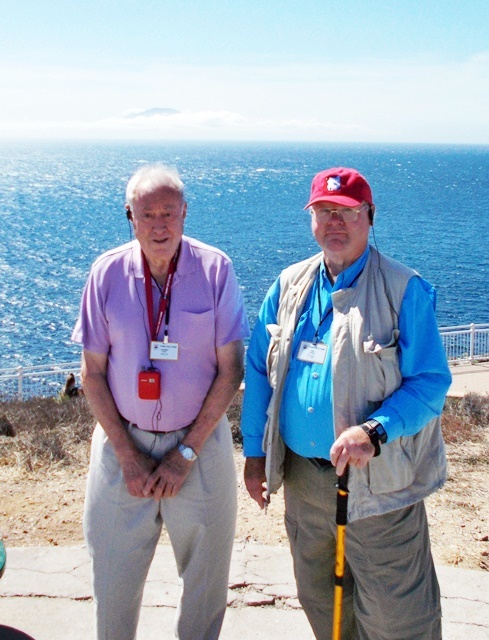 This is the south-western most point of land in Gibraltar and Europe. 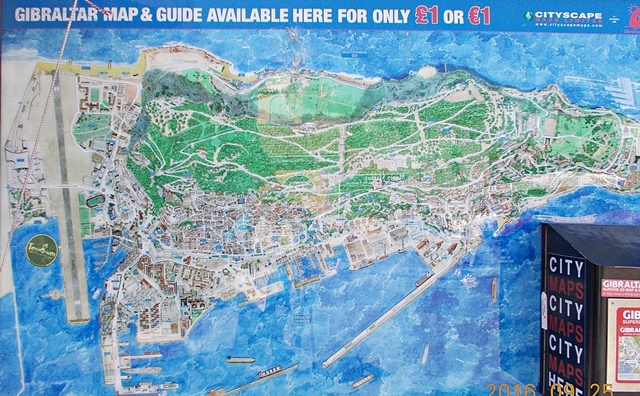 It is called Europa Point. 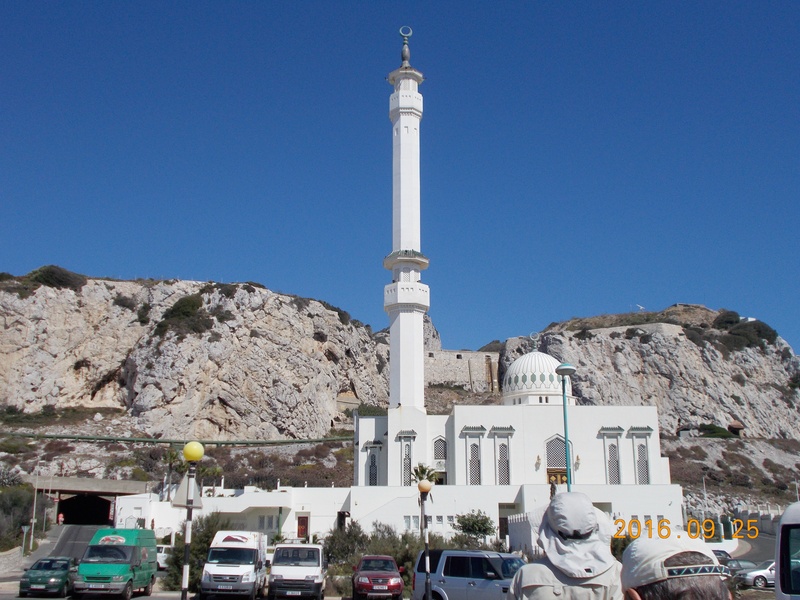 Here is the Ibrahim-al-Ibrahim Mosque, the southernmost mosque in continental Europe, and is one of the largest mosques in a non-Muslim country. 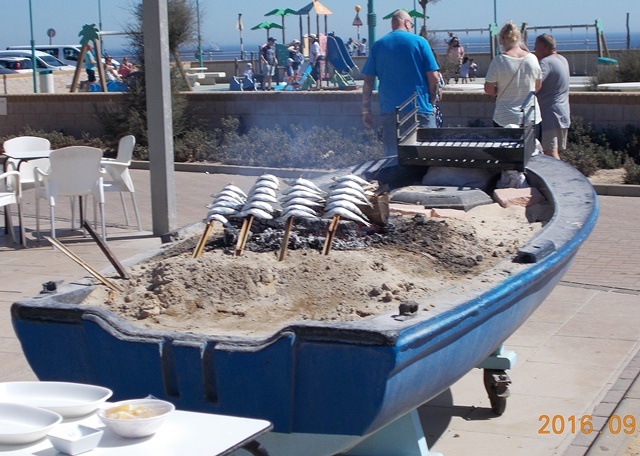 Here is how fresh sardines are broiled. Here are Bob Wahl and myself. In the far distance above Bob’s head you can just make out a sliver of land. That’s Africa! Note: We’re both wearing our “Whispers”. Here is a street map of the city. 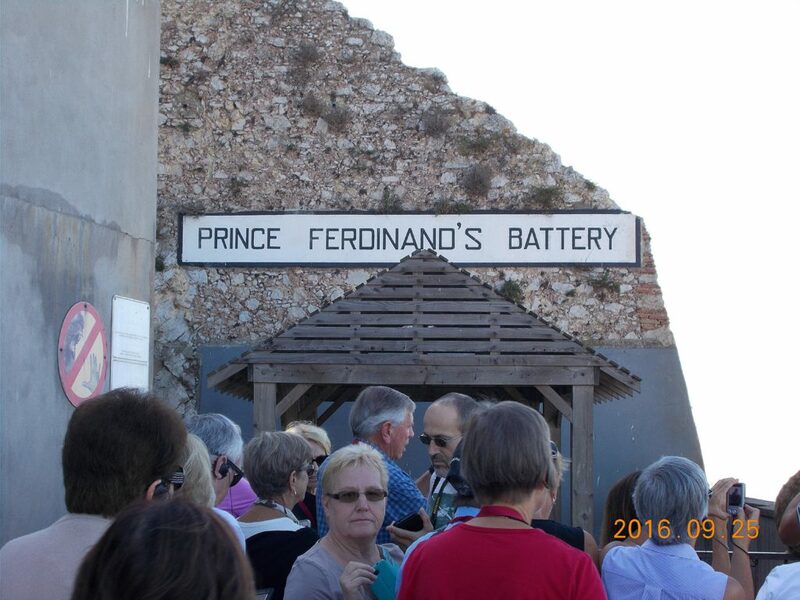 What is not shown is the “Old Town” that is at the base of the back of the Rock. 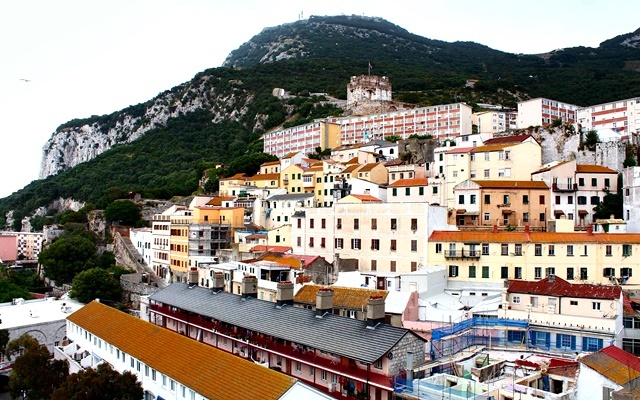 Here is a post card picture of “Old Town Gibraltar”. Here is Main street “New Town”. 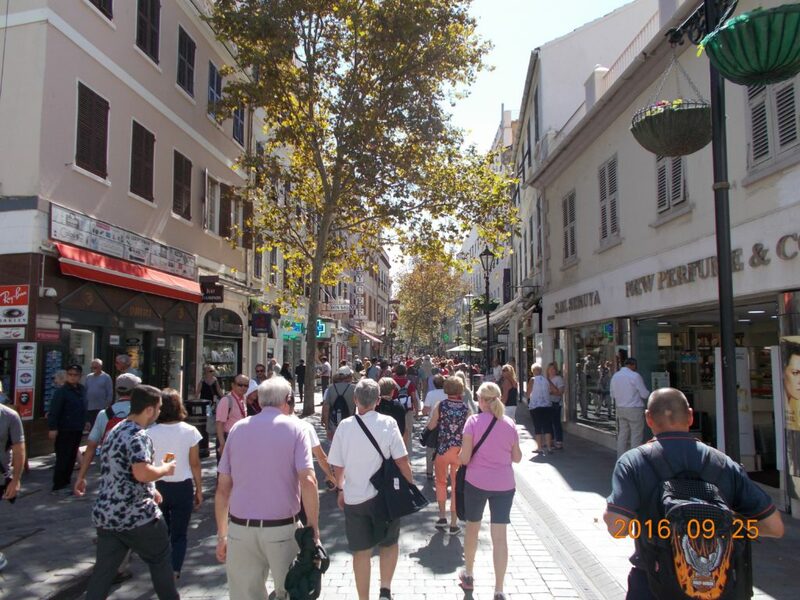 It;s a trendy, toney shopping street. that ended up in a square. We all met there and got the bus to a very nice restaurant at Catalan Bay called the “Caleta Hotel”. We were bussd back to our hotel in Torremolinos. where Bob, Sandra and I took a walk and had fish at a sea food restaurant on the beach. From there it was an early evening for me. Thus ended Day 8.